Crunchy biscuit cups made with wholegrain oats with an almond butter flavoured filling, a chocolate flavour base and almond pieces. Peanut butter and chocolate pieces sound like an enticing combo for you? 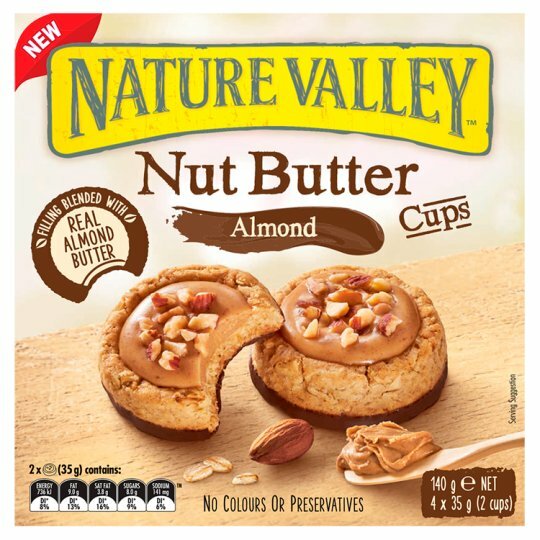 Why not also try Nature Valley™ Peanut Chocolate Nut Butter Cups?